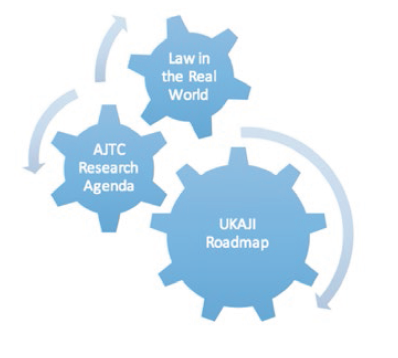 Today the UK Administrative Justice Institute (UKAJI) publishes its Research Roadmap, proposing a way forward for empirical research in administrative justice. In doing so we build on earlier work by Nuffield’s Law in the Real World inquiry and the Research Agenda of the Administrative Justice and Tribunals Council (AJTC). A fundamental purpose of research is to provide evidence and improve understanding of how the systems of administrative justice are used, how they work, whether they achieve their aims, and how they affect people. Such understanding is key to ensuring that justice is delivered in the interests of us all, that systems are working as intended, and that if changes are needed, they will be made in ways that are most likely to be effective. Administrative justice is about how government and public bodies treat people, the correctness of their decisions, the fairness of their procedures and the opportunities people have to question and challenge decisions made about them. Since starting work more than three years ago, UKAJI’s primary tasks have been to bring together researchers, research users, policy makers, practitioners, and others to stimulate empirically based research into administrative justice and to design an agenda for future research. This Research Roadmap results from that engagement and our consultation with a wide range of stakeholders during 2017. Research in administrative justice is not well coordinated; much essential data on how things are working is unavailable or inaccessible; and research does not always have the ‘real-world’ impact it should. Our key learning points have been that coordination of research is needed, among researchers and research users, funders and commissioners of research, and that the current context imposes new and untested pressures on those who use and work within administrative justice. We argue that administrative justice is an area that requires special attention and that the research terrain covered by administrative justice can be usefully presented under four heads: principles, people, processes and information. 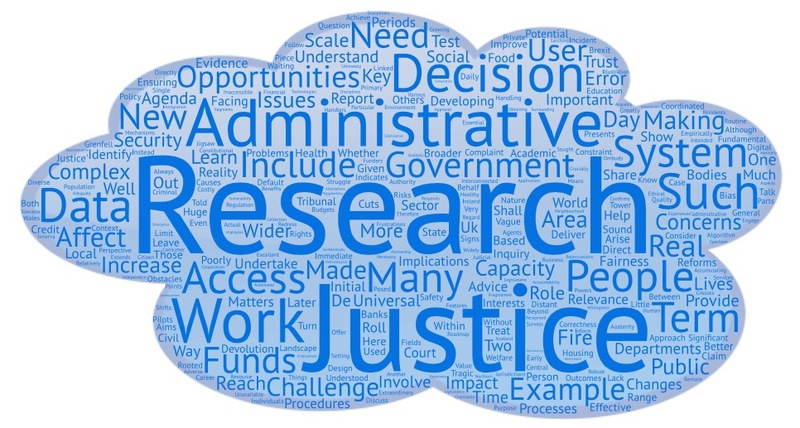 Using these headings, we identify three areas as research priorities: better information and the need to make better use of information and data; new technologies and the opportunities and challenges they pose in relation to improving the quality and effectiveness of administrative justice; and the needs and perspectives of people within the administrative justice ‘system’, particularly users and non-users. The Roadmap is organised in sections covering 1) Where we’ve been (concentrating on past research); 2) Where we are now (the current context and challenges); and 3) Where we need to go (the research priority areas). The table at the end of Section 3 sets out suggested action points for stakeholders to help take forward this roadmap. The aim is to develop a healthy research environment that will bring us closer to the longer term vision of improved decision-making and good design of processes, leading to just outcomes for people, especially the most vulnerable. Our work with stakeholders confirms that the value of robust, empirically based research to help inform reforms and to test their effectiveness is widely recognised and that there are new opportunities to overcome challenges facing researchers. Over the coming year, UKAJI will further develop the community of researchers (both those within universities and others), government policy makers, practitioners, and users to ensure research projects are progressed that will inform the quality of administrative justice in the UK. We will continue collaborative activities and work with the new Administrative Justice Council to build consensus on administrative justice research strategy. It is our view that, just as the priorities themselves are the product of many minds and many consultation respondents, no research centre, organisation or department can take sole responsibility for progressing the priorities identified. The full Roadmap is below and also available for download here. We have published a brief Summary document for download here. Both are also available in the main menu of our website under UKAJI Research Roadmap.